A big fear is AFCON expansion would make it easy for the elite sites and lessen the excitement of the qualification process. In a sense it has, but this matchday also showed that qualification isn’t a foregone conclusion neither. With one round of games to go, teams such as Burkina Faso, DR Congo, Cape Verde, South Africa, Congo, Togo and Gabon are yet to seal their fates. It backs the view that in Africa there’s so many middle-ranking teams that can give any team a game on their day. Concerns about the lowering of quality in the tournament itself are legitimate – a prolonged group stage could mean more risk-averse football for the neutral viewers seeking goals as the likes of Mauritania will, above all, look to contain superior opposition. That doesn’t mean the quality will be necessarily lowered. All things considered, the cream will always rise to the top. It will just take longer for that to happen than in the previous format. More importantly, and one of the pros of the expansion of the tournament, is that the likes of Madagascar and Mauritania will be all the better for the experience when it comes to the development of their football. It ain’t over til it’s over but after their loss away to Lesotho Tanzania’s fate is now out of their hands. They’ll be hoping Cape Verde do what they need to do against Lesotho and that they themselves will be able to see off a well-coached Uganda side at home. Uganda have already qualified and Tanzania will hope they go easy on them despite the demands of their president Yoweri Museveni to finish them off for once and for all. The loss away to Lesotho was a massive two steps back for coach Emmanuel Amunike. The fruits of a 10-day training camp paid for after a plea to the president by the Nigerian were nowhere to be seen. Bizarrely, some of the most in-form players in the local league didn’t feature or were misused. The introduction of winger Shiza Kichuya added some brightness in attack but it was too little too late. An open defence and poorly coordinated build-up play meant they would have been lucky to escape with anything from the game. Amunike now goes into March not knowing his best XI and players questioning his tactics. Centre back Abdi Banda reportedly done the latter and saw himself placed on the bench. Come March the belief in the team by the Tanzanian public may be so low the last push they need to qualify for AFCON may not be so strong. 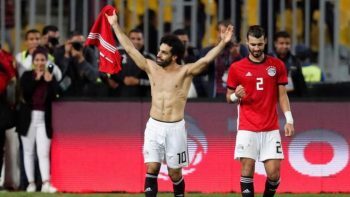 Just as a revamped Egypt showed they could be a danger at AFCON after Salah’s late winner versus Tunisia, in Casablanca Morocco showed why they should go to Cameroon as one of the favourites for the trophy. Unlike in 2017 Renard’s team will have more potency in attack and they will go to the tournament as one of the most well-oiled teams with no glaring weaknesses. For Seedorf and his men, they will have some work to do. Cameroon have an outstanding record at home and an equally proud record in the Cup of Nations, but there’ll be facing teams with the chemistry and quality to hurt them. They were able to defy expectations in 2017 and they’ll have to do the same in 2019, though siege-mentality football may not work so well in their own backyard. With a change of manager, does Seedorf have the astuteness to know what kind of football will be required for his Cameroon side to succeed as hosts?